It is in the town center, 20 meters close to the main place. The Host gave us the pass for the car parking included in the total cost. This is very important because in each town parking is usually not for free (approximately 3€/hour). Lovely host who met us very quickly after our arrival. 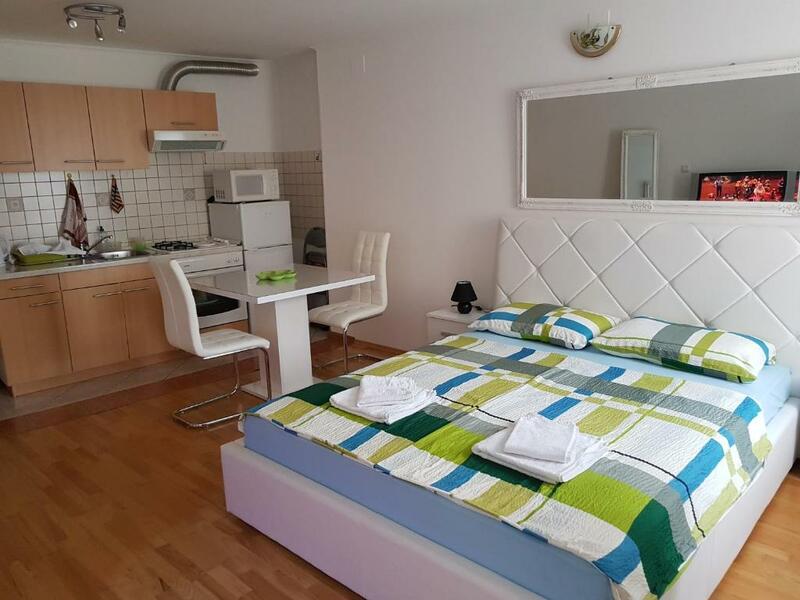 The room was VERY clean and in an excellent location close to bars and restaurants. Also close to two bakerys and the port where we left to travel on to Venice. Stayed for one night. Wonderful clean city studio above a bar in the center of town. Host was supernice and also walked me to a place to have a quick breakfast. Speaks Italian & German. Note: the advertisement indicates that it's a smoking room, but it was not. The apartment is in the very heart of the city, you can see the harbor through the window (it's a few hundred meters away, but still). The fridge and the a/c were greatly appreciated as it was scorching hot. The apartment was well furnished. The parking is arranged and is free but is further from the property in a public car parking. In the center of the town. When it is high season perhaps there will be some noise from the street. We rented bikes and had a fantastic day in Istria. Noi ci siamo trovati benissimo! 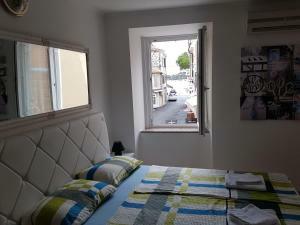 Proprietario disponibile,e gentile Appartamento pulito ed in centro! Ci ritorneremo! Lock in a great price for Studio Apartment Amar – rated 9.1 by recent guests! 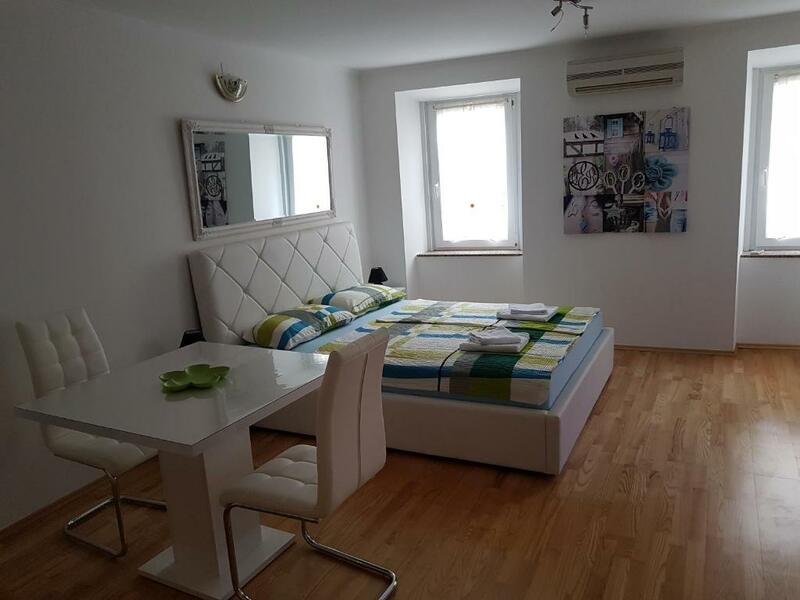 Studio Apartment Amar This rating is a reflection of how the property compares to the industry standard when it comes to price, facilities and services available. It's based on a self-evaluation by the property. Use this rating to help choose your stay! Studio Apartment Amar is located in Umag, a few steps from Umag Old Town, a 3-minute walk from Umag Town Museum, and 0.7 miles from Umag Bus Station. Including a bar, this apartment also features a restaurant. This air-conditioned apartment has 1 bedroom, a fully equipped kitchen, a dining area and a satellite flat-screen TV. Umag Central ATP Stadion Stella Maris is 2 miles from the apartment. The nearest airport is Pula Airport, 56 miles from the property. 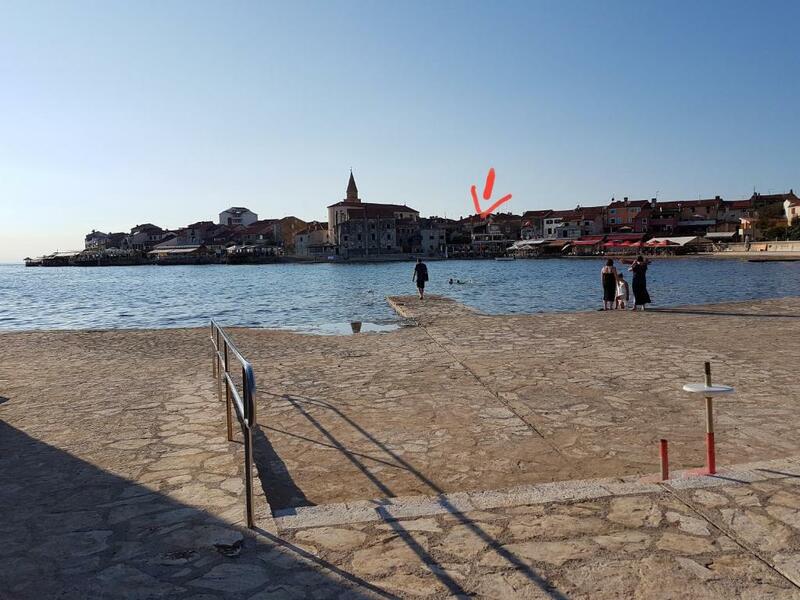 This is our guests' favorite part of Umag, according to independent reviews. 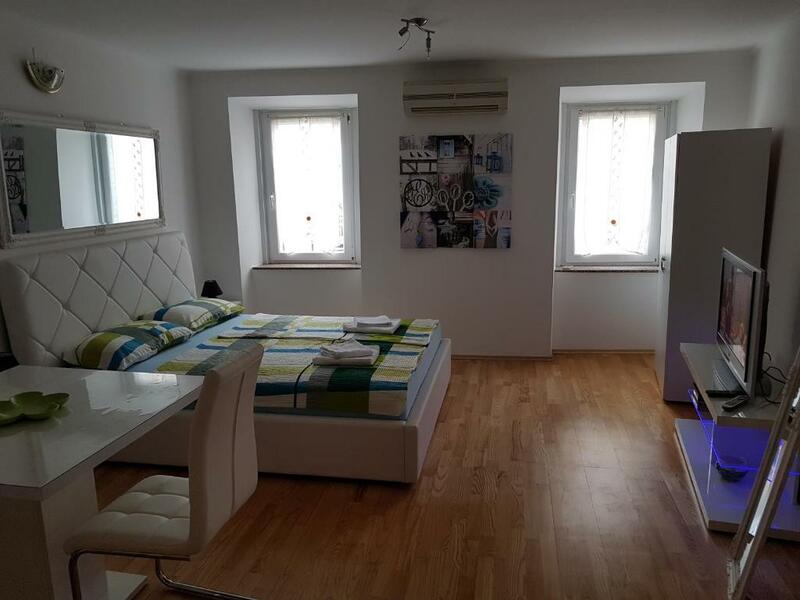 This property also has one of the top-rated locations in Umag! Guests are happier about it compared to other properties in the area. This property is also rated for the best value in Umag! Guests are getting more for their money when compared to other properties in this city. 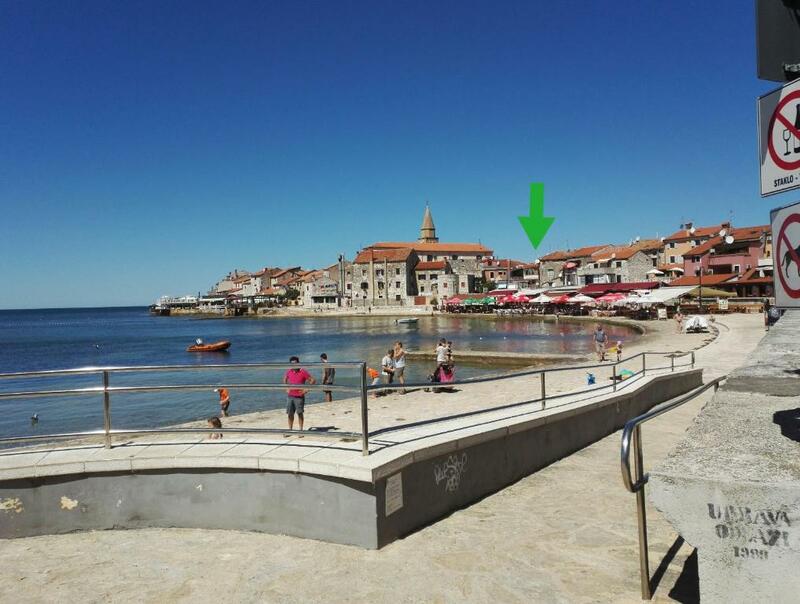 뀐 Located in the top-rated area in Umag, this property has an excellent location score of 9.4! When would you like to stay at Studio Apartment Amar? This apartment features a bathrobe, dining area and view. House Rules Studio Apartment Amar takes special requests – add in the next step! Please inform Studio Apartment Amar of your expected arrival time in advance. You can use the Special Requests box when booking, or contact the property directly using the contact details in your confirmation. The splitter for heating works well but is really noisy. The owner didn't speak English, but we managed through a mixture of Russian and hand signs.